The popular TV show could be predicting our future. That’s the name of Episode 6 from Season 3 of Britain’s popular science fiction TV show, Black Mirror. The show illuminates a whole bunch of pent-up anxieties that we face with our technological future. No matter who you are, the show is pretty great at letting you know that literally, any outcome is possible. 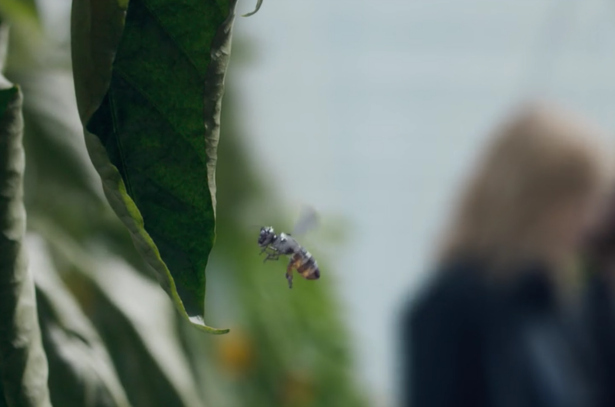 Aside from the social media-induced murder that the police are trying to solve, this particular episode introduces tiny drone insects that freely fly around the city. A private tech company created these drone honeybees as a response to the extinction of real honeybees (which, if this actually did happen, we would see the major collapse of food chains and a reduction in more than half the amount of fruits and vegetables we see in the supermarket). In the series, they fill the ecological gap by acting as pollinators, but they also have another task – to murder people. The company purposely left a security hole open so that the UK government could hack and reroute the bees to attack specific people. Surely the only thing worse than being stung by a bee is being brutally murdered by one. 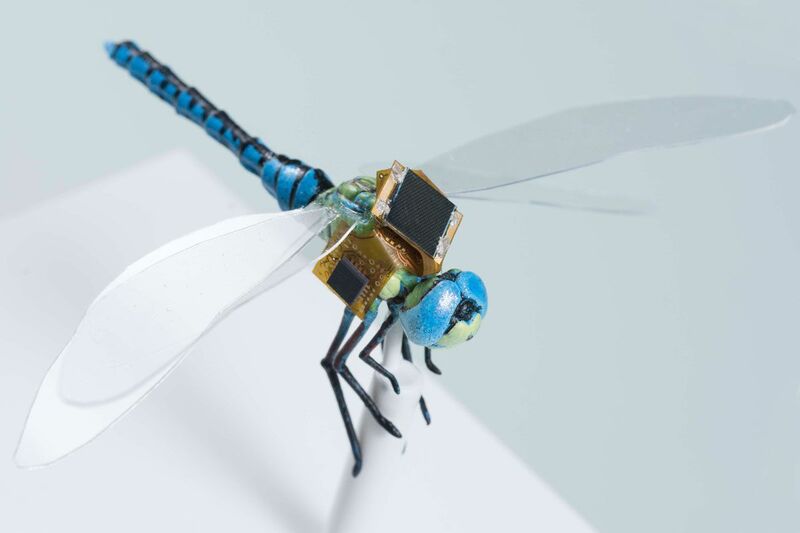 Now that we’ve properly instilled that terror into you, a Biomedical solutions company called Draper announced that they will be creating a living dragonfly drone as part of their DragonflEye project. The drone dragonfly will be equipped with a small backpack, which is powered by a mini solar panel and contains a guidance and navigation system that allows it to fly on its own. Instead of hijacking all muscle control, the system will send messages to the insect’s “steering” neurons found in its nerve cord. Utilizing genes naturally found in the dragonfly’s eyes, the “optrodes” within the backpack send these messages as flashes of light in order to guide it. If we ever do see these drone dragonflies out in the world, they would primarily be used as pollinators and tiny surveillance systems. Since the backpack is an all-in-one device, it could be used on other insects in the future…such as bees. Sound familiar? Thanks, Black Mirror.